Cool Clean Technologies provides precision CO2 cleaning that utilizes recycled carbon dioxide. Recycled CO2 is an excellent cleaning media for the removal of contaminants, such as solvents, oils, particulate matter, coolant, dust and more from a variety of substrates and devices. Cool Clean Technologies is the global leader of CO2 based precision cleaning systems in Medical, Aerospace, Semi-Conductor, Dental, Original Equipment Manufacturing (OEM), Industrial Micro-Electronics, Fiber Optics, Solar Energy, Jewelry and Garment industries. As technology has advanced, performance requirements and complexity of precision instruments has increased. Cool Clean has stayed ahead of this curve by continually providing state-of-the-art dry ice, or snow cleaning products that are environmentally friendly and eliminate the use of deionized water, chemicals, and waste agents. Our precision CO2 cleaning equipment is typically placed directly into the manufacturing lines of semiconductor wafers, sensitive media, displays, automotive parts, fiber optic components, medical devices, optics, and much more. Cool Clean has precision cleaning systems operating in over 20 countries and some of the most challenging applications in the world. In several industries, our CO2 cleaning technology is processing nearly the entire global demand of certain high volume products. Is CO2 cleaning the right fit for your company? Check out the many ways that CO2 has been introduced into the toughest cleaning applications. Particle removal using CO2 is non-abrasive and dry. The condensed CO2 solid snow particles spray on the surface causing the unwanted contaminants and dust to be blown off. After the CO2 impacts the surface it evaporates leaving behind no trace contamination. Benefits: Removes particles as small as 0.2 to 0.3 microns. Cleans partially assembled components requiring less floor space than traditional aqueous based systems. A clean, dry process capable of spot cleaning. Removes residues and thin films, such as oils, light fingerprints, other biological type organics and dust from substrates. Benefits: Adaptable to manual or automated use, short cycle without drying (energy saving), less cleaning variability, improves bond strength, and is environmentally friendly. 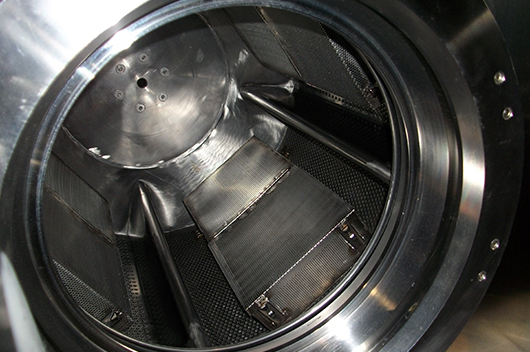 Removal of soot from titanium parts joined by a laser welding process. High value cleaning for preparation of many medical applications. Welding processes are currently being performed in the Medical, Aerospace, Aircraft, Electronics, Optics, Transportation, Jewelry, Solar Panels, and Molding/Forming industries. Benefits: A clean, dry process, precisely controlled spot cleaning, can vary the cleaning intensity, and environmentally friendly. Surface preparation for adhesive bonding processes provide strong bonding between coating and painting. Nozzles spray snow to clean the surface leaving no contamination behind, ensuring a strong bond. Benefits: Requires no post solvent cleaning or wipes. Surface functionalization at atmospheric pressure, short cycle, and demonstrating effectiveness at improving bond strength. Automated cleaning cell processes are currently being performed in the following industries: Hard Disk Drive (HDD), Liquid Crystal Display (LCD), Communications, Medical, Military, and Aerospace. Benefits: Fully automated, in-line, fast, hands free, small footprint, repeatable cleaning, and saves labor. 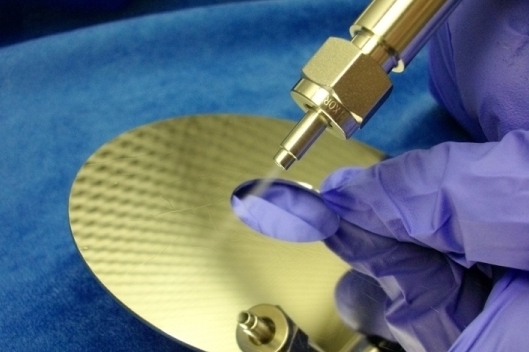 Surface preparation for soldering processes are used for removal of particles, flux, and light oil type contaminants from surfaces pre-soldering. Benefits: Spot cleaning allows you to avoid particular areas of a populated board, non-abrasive, improved bond strength, and environmentally friendly. Post solder/Re-flow cleaning removes solder flux from between printed circuit board and chip components. Allows for cleaner down-stream components and improves appearance of finished product. Benefits: Excellent cleaning under tightly spaced components, waterless process, cleans both polar and non-polar soils using co-solvents, and environmentally friendly. Integrate cleaning modules into existing manufacturing process to provide selected spot cleaning for assembly problem areas. Benefits: Offers selective cleaning at the point of contaminant generation so there is no need to remove component from process. Saves time, lowers cost, and no additional automation for material handling and fixtures is needed.